As a Muslim woman living in Milan, Sumaya Abdel Qader has committed herself to promoting integration and community cohesion by combating negative stereotypes and violence against Muslim women in Italy. Sumaya’s participation on the International Visitor Leadership Program (IVLP) in 2006 provided her with an opportunity to see and learn about the role that Muslim communities play in developing and working within the framework of governmental and non-governmental institutions dealing with integration and integration issues. Her time in the United States also exposed her to best practices in America, such as the freedoms enjoyed by Muslim women and the leadership roles among Muslim youth. Although Sumaya has always been a dynamic and diverse leader and scholar—holding three Masters degrees in biology, foreign languages/literature, and sociology—her exchange experience inspired her to invest new energy in developing locally-based activities in order to promote the social and cultural re-positioning of the Muslim community in Milan. Through her work as a cultural mediator, journalist, writer, and project coordinator, she established herself as an accomplished activist for integration and women’s rights. Soon after her trip to the United States, Sumaya started a blog “Yalla Italia,” the first digital forum for local Muslim youth. Through this pioneering editorial project, second-generation Muslim students strove to define their identify as an integrated community of young Muslims born and raised in the “host” country. As many young Muslims felt they needed to frame themselves and their positions in the community in a different manner than their parent’s generation as a result of 9/11, the Yalla Italia blog became an ideal tool. 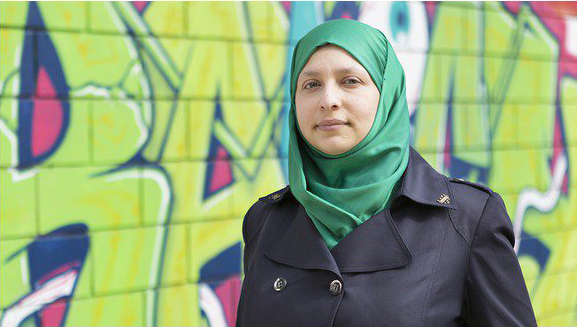 In early June 2016, Sumaya was elected as the first Muslim councilwoman in Milan, providing her with an opportunity to demonstrate her leadership and work for integration at a civic level. Although the first councilwoman to wear the Islamic headscarf, Sumaya has made it clear that she represents all Milanese. The commitment to social change which earned her the position as a municipal councilor in Milan ensures that she will continue to make inroads for integration and community cohesion, not only for Muslims, but for women more broadly.